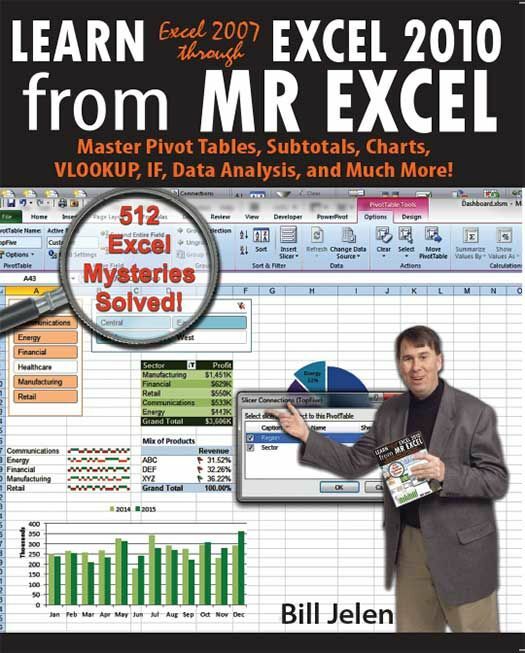 This book is based on MrExcel's Power Excel Seminar. If you use Excel 40 hours a week, the techniques in this book will save you 100 hours per year. Updating the previous edition's tips to make them compatible with Excel 2010, and featuring tips that are only available in Excel 2010, this new edition of Mr. Excel's popular software guide even incorporates suggestions sent in by readers. Each featured topic has a problem statement and description, followed by a broad strategy for solving the problem. Mr. Excel then walks readers through the specific steps to solve the issue. Alternate strategies are also provided, along with common “gotchas” that trip users up, leaving readers with not only answers to their specific dilemmas but also new and quicker ways to use formulas and spreadsheets.